Image provided by Railway Union. 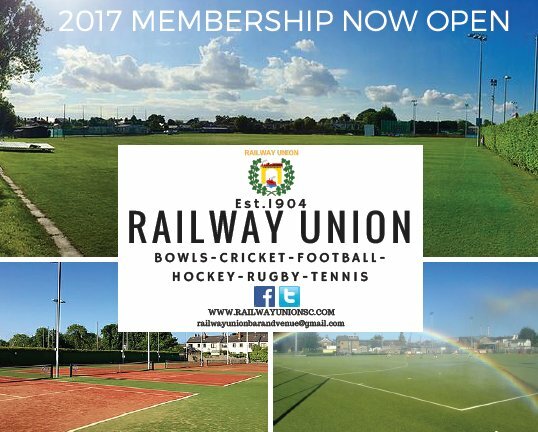 Sandymount’s Railway Union is giving residents of Dublin 4 a chance to get fit in 2017 by taking on new members for the New Year. With sports such as bowls, cricket, football, hockey, rugby and tennis, there’s plenty of fun activities to get involved in on the road to a healthier lifestyle. There is a wide variety of facilities onsite at Park Avenue, including a clubhouse bar/coffee lounge, a function/meeting room, changing rooms, showers and 4 acres of playing fields. Sporting activity takes place across 5 lawn tennis courts, 5 all-weather tennis courts, a floodlit rugby pitch, 2 soccer pitches, an astroturf hockey pitch, a cricket pitch and a bowling lawn. Established in 1904, Railway Union has won many prestigious awards and currently has over 1000 members. Through work with local schools, colleges and businesses, the organisation aims to provide the perfect facility to promote sport and allow its members to improve their well being. The social membership package costs €50 and includes discounted club prices, free rental of the function room and a welcome pack which contains a bag, a hat, free soup and a sandwich. It can be paid with cash, a card or a cheque in the clubhouse bar, and more information can be found at railwayunionbarandvenue@gmail.com.